If you are looking for a new leaf blower then you already know the number of choices can be overwhelming! And of course, it’s important to pick the right tool based on the type of yard work you want to get done. 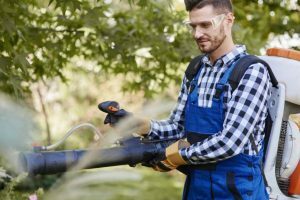 To make things easier for you, we’ve compiled this updated guide on the best leaf blowers for 2019. 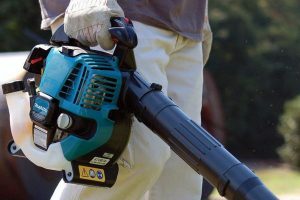 WARNING: Don’t go spending your money on a new garden or lawn blower until you’ve read this guide to the end. It could save you hundreds of dollars and prevent you spending your hard earned money on the wrong tool. There are three main types you should be aware of. Each type has its own pros and cons, so it’s important to understand the difference between them. This way you can make an informed choice about which gardening tool is right for you. If you want to work in tight spaces an electric blower is the only option you should consider. Especially if you don’t want to inhale toxic exhaust fumes. While corded blowers may seem old school today, they have seen a resurgence in popularity in recent years. Unlike battery operated units, corded models are very light weight. This is great because it reduces the risk of wrist strain if you’re using the blower for an extended period of time. They are also cheaper than both cordless and gas powered models, owing to their simple design. 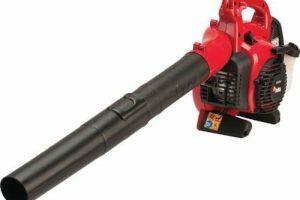 If you are on a budget and concerned about emissions, then an electric blower is the right choice for you. You can even use them in larger spaces, provided you have a power extension cord long enough. For a long time cordless models couldn’t keep up with their gas powered counterparts. The only way to get similar performance was to use a corded model. However, the downside was you had to drag an extension cord around behind you, limiting your range. The old Nickel-Cadmium (NiCad) and Nickel-Metal-Hydride (NiMh) batteries would only last a short time. Delivering a lot less power and adding considerable weight. But with the advent of Lithium-Ion batteries that has changed. Lithium-Ion battery leaf blowers have bridged the gap between clean power and portability. So If you are looking for a blower that is quieter, emits zero emissions and is still portable, then a cordless electric model is the way to go. Just make sure you are definitely buying a Lithium Ion model. It’s worth the small premium you’ll pay over older battery technologies. It used to be that if you were serious about your powered gardening tools, then gas power was the only way to go. And while more people are buying electric powered blowers, gas power still has some strengths that the electric models can’t beat. The biggest issue with electric models is the range. With a plug-in blower, you can only go as far as the length of your extension cord will allow. With a cordless model, you’re limited by the number of batteries you have and how long it takes for them to charge between uses. With a gas powered unit if you run out of fuel, you simply top it up and keep going. So if you are going to be using your blower more than an hour a day and covering medium to large areas, then a gas powered is the only choice that makes sense. These are the gold standard for power and usability. The backpack type is built for commercial use. Designed to be used for extended periods of time, they have superior ergonomics and harder wearing components. Rarely are one of these beasts required for domestic use. 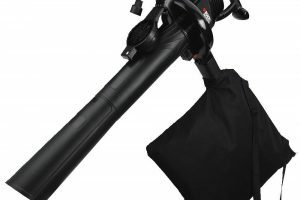 But, if you love your tools and want the absolute best there is on the market, then look no further than a backpack leaf blower. But, there are a couple of drawbacks to owning this type. One drawback is the cost. Often asking more than double the price of what a handheld gas unit goes for. 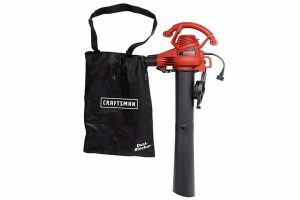 Backpack leaf blowers are also 2-4 times larger than any handheld blower on the market. But, if you are going to be using one over long distances or for extended periods of time, a backpack unit is the right choice. From and ergonomics point of view it’s better in every way. 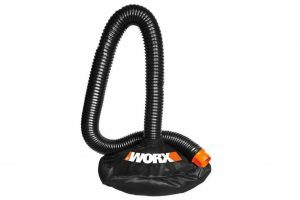 It puts the extra weight on your back making the blower hose super lightweight. This prevents arm strain after extended use. They also have longer range because they have larger gas tanks. So if you are going to be using your blower all day every day to cover large areas, then a gas operated model is the only choice that makes sense. Now that you understand the three main types on the market let’s take a look at some of our favorite picks. We’ve narrowed down the options in their respective categories. We’ll list our top choices in an easy-to-navigate chart, and below that you’ll see our full reviews of each. You’ll get a general overview of what you should be looking for without being overwhelmed by all the options that are available to you. 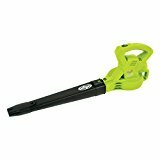 If you want a great, powerful and budget friendly model, then the Greenworks leaf blower 24012 is the perfect choice. This corded unit has a small 7 amp motor which delivers a surprising amount of power, generating air volume speeds up to 160 mph. The smaller size of this unit also helps keep the weight down to a very comfortable 4.58 lbs. This means you can clean up a standard sized yard without feeling like your arm is going to cramp up. The Greenworks 24012 is particularly handy if you need to work in small confined spaces. So not only are you doing you bit to help the environment, but zero emissions means you’re not breathing in on poisonous exhaust fumes. A great little powerful unit for a great price. If you want something with zero emissions but also lightweight and comfortable to use for extended periods. The Greenworks 24012 is a winner. For more detailed information read our full review here. Sometimes you want an easy way to clean up that massive pile of leaves you just accumulated. The Toro 51619 Ultra is three power tools in one. It works as a blower vacuum and mulcher. 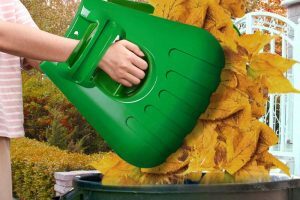 So not only can you can collect up all the leaves you are vacuuming but you can mulch them up ready to add to your composting bin. 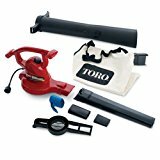 This Toro electric model comes with a bunch of handy accessories to help you make your experience using this great garden tool easy. But that’s not all. This puppy has some serious power. If you thought 160 mph was fast, the Toro 51619 Ultra can pump out air speed at a whopping 250 mph! At those speeds even the most stubborn garden leaves are going to be sent packing. The machine works well on wet grass but takes a little longer to sweep than other units. This is our favorite multi use blower/vac unit. If you’re looking for a tool that has the functionality of several tools and at a great price, then the Toro 51619 Ultra comes highly recommended. Want to know more? Read our full review here. If you want the flexibility a cordless offers and the corded type aren’t your jam, then the Black and Decker LSW20 Sweeper is the tool for you. It’s portability gives you the ability to get into awkward and hard to reach places. It’s also much safer than a corded unit if you’re up on the roof or on a ladder cleaning your gutters. The scraper at the bottom of the blower pipe is a welcome addition. It gives you the ability to scrape and move even the most stubborn leaves off your driveway. While many competitors are running 18v batteries to power their tools, the Black and Decker cordless LSW20 uses a larger and more powerful 20-volt battery. Which not only gives you more power but increases run time. 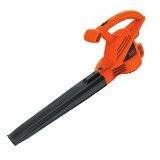 The Black & Decker leaf blower is a great tool with a ton of flexibility. If you’re looking for a zero emission tool but don’t want to deal with being tethered to a power socket, then the LSW20 Sweeper should be your tool of choice. Read more about the Black & Decker LSW20 Sweeper in our full review here. 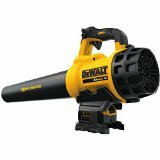 If you want a best-in-class cordless blower then look no further than this Dewalt leaf blower model. This Lithium-Ion battery powered model has the power to take on the toughest jobs while still maintaining the flexibility only a cordless unit can provide. It’s unique axial fan design provides the most efficient way to push a ton of air fast. This means that it’s still lightweight enough to use for extended periods without sacrificing performance. It’s special brushless motor design also means it uses less power for the same output of a similar brushed motor models. Giving you more time per charge to get the job done. If you want the best on the market and price is not a deciding factor for you, then the Dewalt 20v blower DCBL720P1 is right up your alley. It’s powerful, efficient and let’s be honest here, it looks really cool too. Read our full review on the Dewalt DCBL720P1 here. Ok so our list has been predominantly electric leaf blower models. But it would be irresponsible of us not to have a gas-powered leaf model in our lineup. 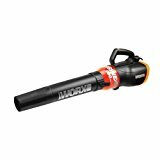 If you’ve got a lot of area to cover and aren’t working in confined spaces then the Hitachi gas leaf blower model number RB24EAP is our pick for the best gas powered blower. Hitachi is known for designing high quality power tools and this unit is no exception. It has a two stroke 29.9 cc engine and is built with commercial use in mind. This means this tool has been designed with a focus on reliability. Making it suitable for extended use without fear of breaking down. And while you can’t completely eliminate emissions on a gas powered tool, Hitachi’s PureFire technology keeps your emissions as low as possible. If you are need to cover a lot of ground fast, then a gas-powered leaf model like the Hitachi RB24EAP is our recommend pick. It’s well designed, compact and is built at the high standard that we’ve come to expect from a manufacturer like Hitachi. Need more information about how the Hitachi performs? Read our full review here. 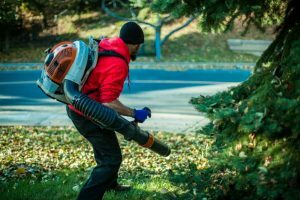 Now that you’ve got an idea of what types of leaf blowers there are and have an idea of the brands and their pricing, here are four key things you should consider. Are you planning to have a relaxing day working in your own backyard? Or are you running a landscaping business and need to cleanup several yards or gardens in a single day? 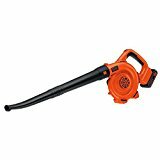 The more powerful leaf blower the faster you can clear the areas you’re working on. Plug-in electrics and Gas blowers will tend to be more powerful than most cordless blowers. If you don’t have an outdoor power outlet at your own home, it’s easy enough to run the power cable through a window. But this is less likely to be the case if you are clearing the yard for a customer. So try to be practical and really think about what you’re going to use one for. People are becoming more conscious about their impact on the environment. As a result, the demand and popularity of using electric blowers will continue to rise. Electric blowers have zero emissions. This not only makes them better for the environment but they are also safer to use in confined spaces. The other factor to consider is noise levels. Gas blowers are more convenient when covering larger areas, but, they are louder than their electric cousins. So regardless if you choose an electric or gas model you may still need to consider any noise restrictions in your neighborhood. Ergonomics can be super important if you are planning to use your leaf blower for extended periods of time. A lot of things can affect the ergonomics of the model of blower you choose. Electric blowers are lighter than gas blowers. Corded electric blowers will be lighter than a cordless unit. So you need to consider how often you will use your leaf blower. Will you use one for only 5 minutes every Saturday to clear your driveway? Then ergonomics and weight may not be a big factor for you. Will you be using it all day long and covering large distances? Then it will be a lot more important for you to reduce the risk of muscle strain. So make sure you take your intended use into account when looking at ergonomics. 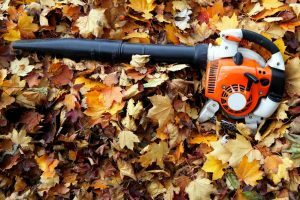 A leaf blower is a powerful piece of equipment and can be dangerous if used incorrectly. Here are our tips and advice to keep you and the people around you safe when you use this powerful piece of machinery. Make sure you wear appropriate personal protective equipment (PPE). Safety goggles, a dust mask and ear protection are essential. It’s important to take steps to protect yourself when working with these powerful tools. Be mindful of your surroundings and avoid working near pets or people. It’s very easy to blow up leaves and debris which can cause injury to people and animals which are passing by. 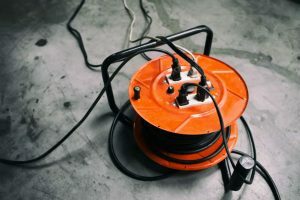 For electric blowers, check your power cable. Make sure it isn’t damaged in any way and keep an eye on it if people are operating other powered tools nearby. For a battery operated blower, be sure to inspect your batteries for any signs of damage. Punctured Li-Ion batteries can explode, causing severe injury or even death. Always inspect the air intake for any obstructions as it restricts air being sucked in. On gas units check to make sure there is enough oil(but don’t overfill)and and try to avoid overfilling the fuel tank. It’s better to run these small motors down to empty before storing them rather than leaving fuel in the tank. Stale fuel can affect the performance. Choosing the right blower model and brand doesn’t have to be complicated! With the information in this guide you should feel confident in your ability to pick the right gardening tools for the job. If you would like to find out more information on our top picks in this guide, click through to our in-depth reviews under each product. This is where we break down all their features in much more detail so you can feel confident in your choice of the best leaf blower.